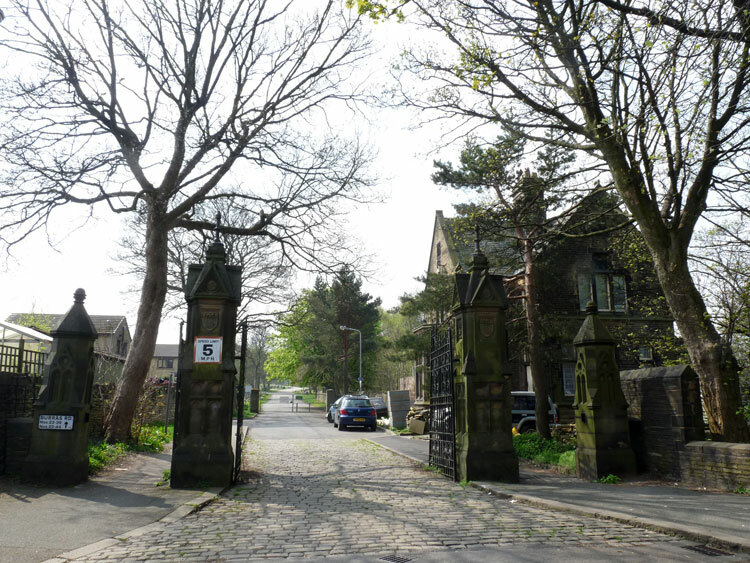 Military hospitals were opened in Bradford in both wars and many of the 153 scattered First World War burials in Bradford (Bowling) Cemetery were from the 1,200 bed Bradford War Hospital. 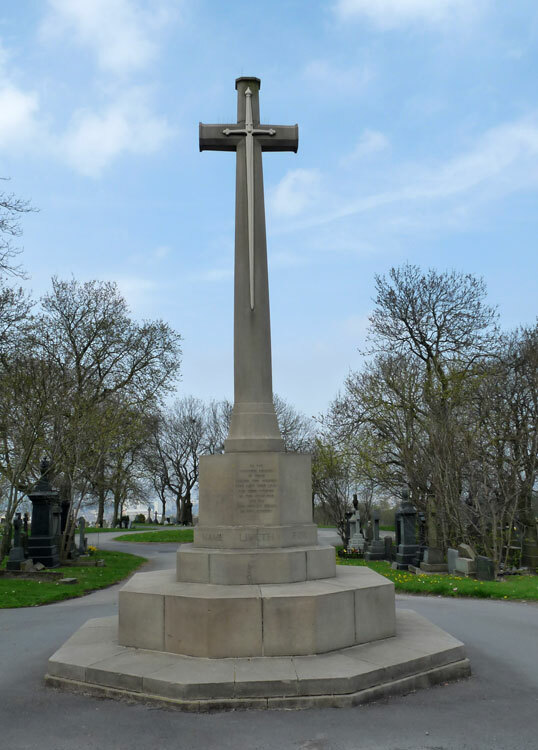 The cemetery also contains 106 Second World War burials, mostly scattered, although 23 are grouped together in Section P. A Cross of Sacrifice stands at the junction of two main roads in the cemetery. 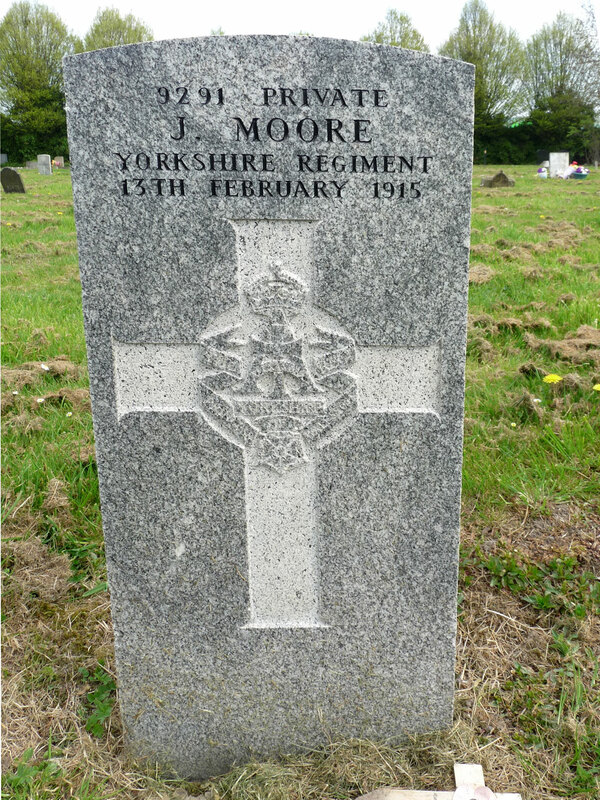 Three soldiers who served with the Yorkshire Regiment are buried in this cemetery. We are very grateful to Mike Berrell (<mike_berrell@ntlworld.com>) for his photographs of the cemetery and of two of the headstones, and to waynetyke123 (<waynetyke123@aol.com>) for one of the headstone photos. Click on a thumbnail image of a headstone for a larger version of the photo which opens in a new window. 5th Battalion the Yorkshire Regiment. 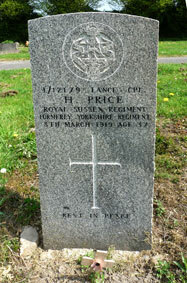 Died at home 11 February 1918. Aged 43. 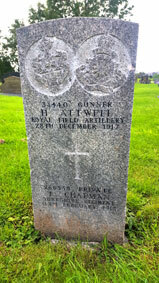 Headstone shared with Gunner H Attwell of the RFA. 2nd Battalion the Yorkshire Regiment. Died at home 13 February 1915. 17th Battalion Royal Sussex Regiment, formerly (6828) the Yorkshire Regiment. Son of James and Annie Price. 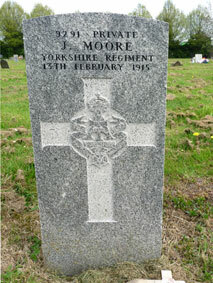 Died at home 8 March 1919. Aged 37.